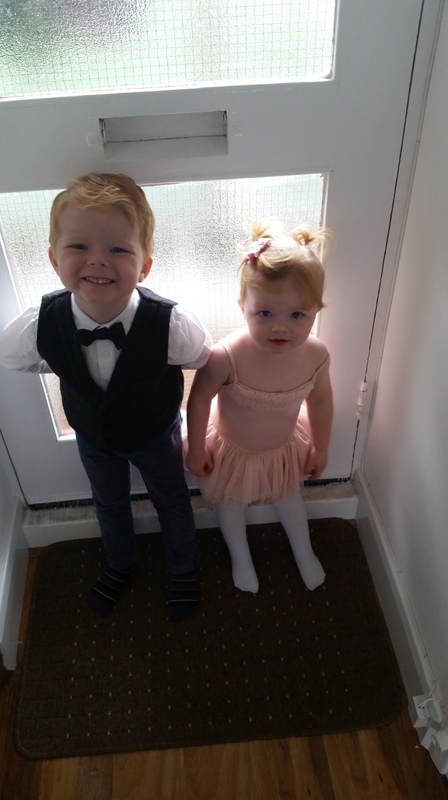 On Saturday, George and Sophie were invited to a friends ‘Tutus and ties’ birthday party. She is turning three and is completely obsessed with all thing ballerina. I couldn’t wait to get them all dressed up, in fact, we were the first to arrive. 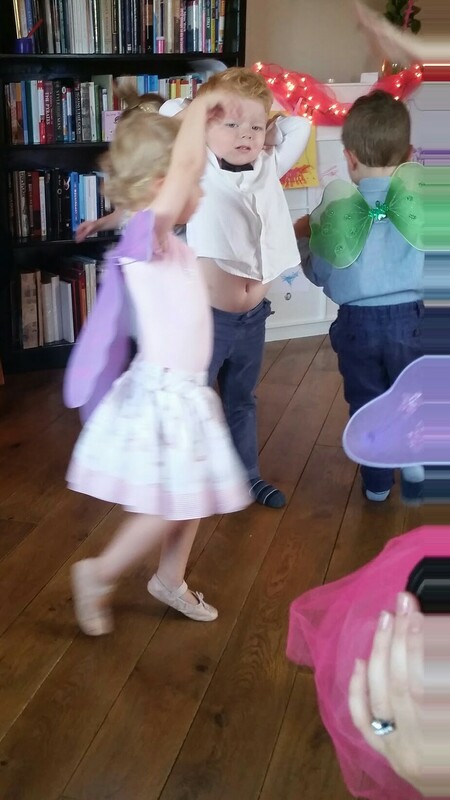 George, however, was not quite as enthusiastic about the dancing as all of his tutu wearing friends. He refused to even join in until I told him that it was the only way he was allowed to have some birthday cake. I know that’s awful, but I felt bad that he was the only one sitting by himself on the side lines. Sophie was twirling and jumping and fully embracing the princess vibe. George was really not loving it, bless him. Although he was grumpy the entire time, he was so entertaining and really made us all laugh. He really doesn’t hold back how he feels when something doesn’t impress him! My friend had gone all out with the decorations and food, she really did an amazing job. It made me reflect on my own opinion of kids birthday party’s. 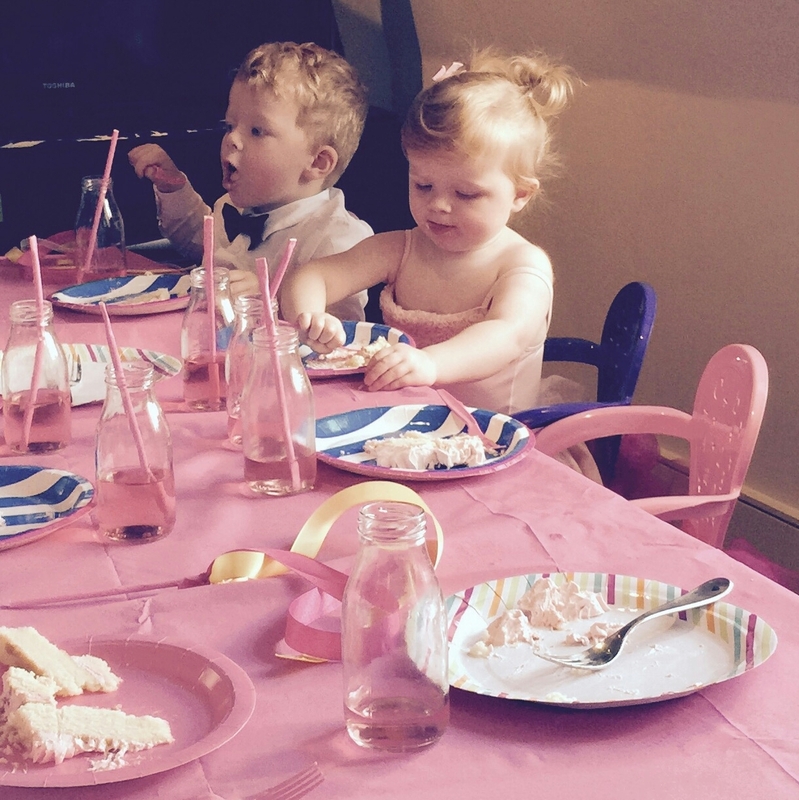 I have never had a birthday party for either of my children, is that bad? They are only little so maybe it’s not too unusual but George will be four this year and I don’t know what to do! His birthday is two days after Christmas (I know, poor boy) so his friends are always busy. We always mark the occasion somehow, of course, by doing something that he enjoys but not a party. When is a good age to start party’s? Do you put a lot of effort into decor and themes or keep it simple? I want them to have happy birthday memories, it’s just not easy to decide how exactly to create them. George was the happiest little boy ever when he finally got his cake. Him and his sister were savouring their delicacy long after their friends had got bored of eating and set off twirling again. My kids know where it’s at.